Joe Masteroff, the Tony-winning librettist of the international musical classics Cabaret and She Loves Me, died on September 28 at the Actors Fund Home in Engelwood, New Jersey. He was 98. Howard Marren, a friend and his literary executor, confirmed Masteroff's death. 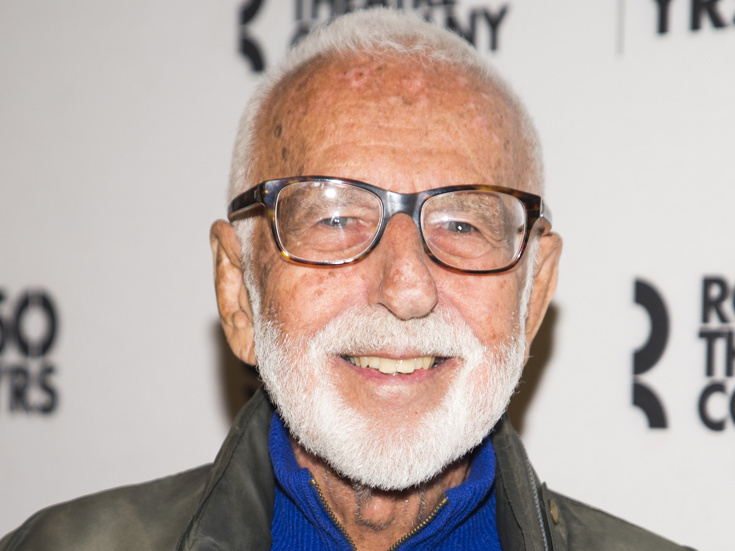 "Today we deeply mourn the loss of our friend Joe Masteroff, one of the 20th century's masters of the Great American Musical," said Todd Haimes, artistic director of Roundabout Theatre Company. "His She Loves Me and Cabaret helped shape our theater, and we were honored to present them both on Broadway. Joe was a close collaborator, a legendary wit and a dear friend. Our thoughts and prayers are with his friends and family." Masteroff's involvement in 1963's She Loves Me came as a result of his Broadway debut in 1959 with the drama The Warm Peninsula. It starred Julie Harris as a shy young woman emotionally abused by a handsome roué, played by Farley Granger. Larry Hagman and June Havoc were also in the cast. Producer-director Harold Prince saw it and chose Masteroff to adapt a musical based on a Hungarian play by Miklos Laszlo. With music by Jerry Bock and Sheldon Harnick and direction by Prince, She Loves Me opened to rave reviews and earned five Tony nominations, including Best Musical. It has since enjoyed acclaimed Broadway revivals in 1993 and 2016, both produced by Roundabout. In 1966, Prince again tapped Masteroff, this time to adapt John Van Druten's I Am a Camera which became Cabaret with songs by John Kander and Fred Ebb. Set in 1929 Weimar Germany, the musical centered on the star-crossed romance between Cliff, a young American writer, and the chanteuse Sally Bowles. The musical brazenly dealt with such provocative subjects as antisemitism, abortion, bisexuality and the rise of Nazism. Cabaret opened to unanimous critical praise and earned 11 Tony Award nominations, winning eight, including Best Musical. Three major Broadway revivals—in 1987, 1998, and 2014—the latter two produced by Roundabout—followed its initial long run. Joseph Masteroff was born on December 11th, 1919, in Philadelphia, to Louis and Rose Masteroff, who owned a notions store while their only son cultivated through movies and theater a sole ambition: to be on Broadway. He graduated with an English degree from Temple University, and, during World War II, served in the United States Army. As a veteran, he qualified for free classes at the American Theatre Wing's Professional School, where he studied playwriting under the tutelage of Robert Anderson (Tea and Sympathy). A few years later, he achieved his dream by writing The Warm Peninsula in which Julie Harris toured nationally for a year prior to Broadway. Masteroff's other musicals include 70, Girls 70, another Kander-Ebb collaboration which reached Broadway in 1971, as well as two with composer Howard Marren: Georgia Avenue and Paramour; and three with composer Edward Thomas: Desire Under the Elms, Six Wives and Anna Christie. Masteroff was also brought in as a show doctor on Jerry Herman's Dear World in 1969. Masteroff is survived by his niece, Judith Weiner.